Memberships now available to experience Santa Fe's premier nightlife venue. Experience expertly curated cocktails, music, and the most vibrant social scene in the southwest. Re-opening Summer 2019. For more details, click here. Hotel & Spa is one of the premier Santa Fe hotels, where award-winning luxury sets the stage for an enchanting visit. Our grand hotel is conveniently located near the Historic Santa Fe Plaza, offering the perfect embodiment of the spirit of the city. We welcome guests to experience our Santa Fe resort and spa amenities including our on-site restaurant and bars, rooftop pool and more than 22,000 square feet of indoor and outdoor event space. Our AAA Four-Diamond-rated Santa Fe hotel offers spa services unparalleled to other luxury hotels. We are thrilled to be named #2 in Condé Nast Traveler's 2017 Readers' Choice Awards for Top Hotels in the Southwest and West and to have been named the best hotel in New Mexico by MSN Travel. Plan your next getaway being pampered at the lavish Nidah Spa in Santa Fe followed by a day of exploring Santa Fe activities, including nearby downtown landmarks, restaurants, shopping, and businesses. Rich culture, ideal year-round climate and picturesque mountain setting makes Santa Fe the premier wedding destination in the Southwest. 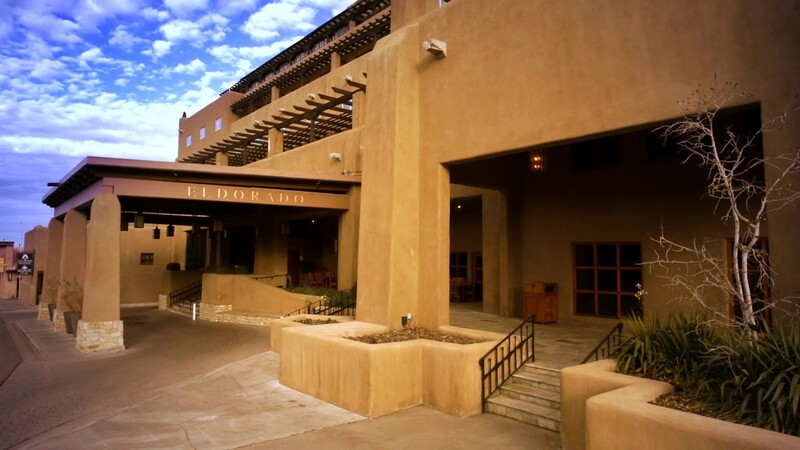 Our Santa Fe resort and spa, known for its breathtaking views of the Sangre de Cristo mountain range and Historic Santa Fe Plaza, is the perfect backdrop for your memorable event. Couples have the opportunity to select their desired Santa Fe wedding location from stunning ballrooms, intimate spaces, a spacious, rooftop patio, and an elegant non-denominational chapel, La Capilla de Oro.